It was Gerry Smythe’s final confirmation he had never quite felt at home working in the Oklahoma airplane manufacturing plant. 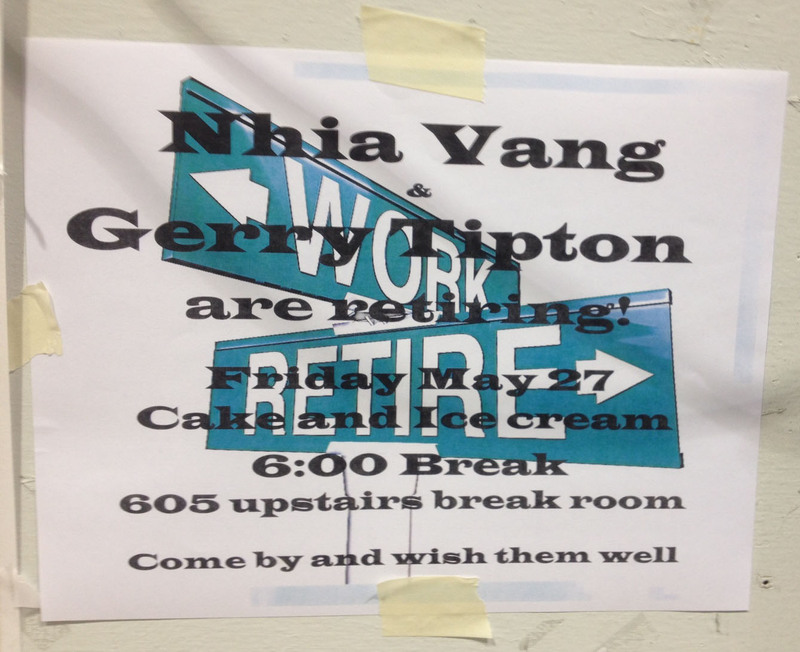 When well-meaning coworkers bought a cake to celebrate his and another person’s retirement, they got Smythe’s name wrong on the sign inviting everyone to the break room. At age 63, he until recently was one of the nation’s 10 million older Americans working in physically demanding jobs in difficult conditions. He felt worn down by the factory noise, carbon dust, and standing all night on collapsed arches to assemble cabin floor beams for Boeing 777s. His requests for a transfer away from the hard floor never went anywhere, he said. Now retired, Smythe savors his freedom. He’s playing more golf, has maintained his obsession with the Sunday crossword puzzle, and might volunteer at an animal shelter. But he also admits to something others have learned upon retiring: it’s a lot to get used to. “You’re transitioning to a new phase of your life, and you’re not sure where to go. It is sorta scary,” he said in a telephone interview on a sizzling summer day at his home in Tulsa. Like the United States, many European countries are concerned about shoring up their pension systems for their aging populations. In 2000, Austria took action by introducing a series of small increases in the earliest age at which workers can begin receiving their federal pensions. This reform is gradually phasing out early eligibility entirely. Raising the earliest claiming ages, from 60 to 65 for men and from 55 to 60 for women, will cause them to converge, next year, with the pension program’s standard – or “normal” – retirement ages. Prior to the reform, workers who had signed up for benefits before their normal retirement age received only mild reductions in their monthly benefits. The reform, in addition to gradually raising the early retirement age, exacted a larger penalty on the early claimers, increasing the incentive to continue working. 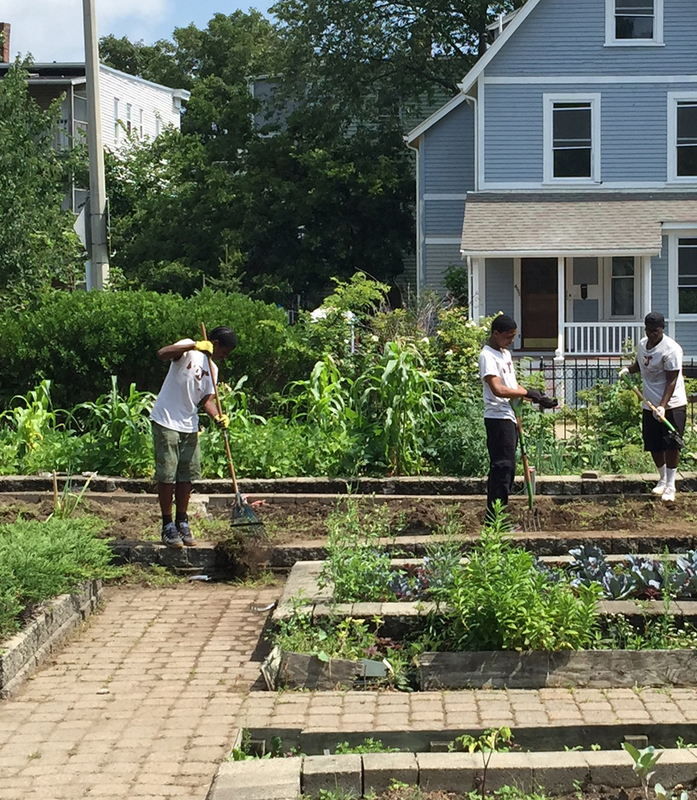 High school students who participated in Boston’s summer jobs program in 2015 work on a public beautification and landscaping project. It’s a spring rite in Boston. The mayor’s office and private and non-profit employers hustle to get ready for a program employing more than 10,000 inner-city teens for the summer. A new study of the summer 2015 participants shows that the high school students made remarkable strides, compared with the kids who applied but were not accepted for the limited number of slots available in the program. New York and Chicago have similar, large programs. The Boston teens, who are mostly either black or Hispanic and from low-income neighborhoods, improved their job readiness, from showing up on time to developing their resume-writing skills, and also boosted their confidence and sense of identity. Perhaps most important, the program increased aspirations, particularly among black males. Two out of three participants have single parents, and one in three is from immigrant families who do not speak English. While college-bound children of wealthy parents may choose summer camp over a summer job, being idle in the summer can be a big disadvantage for inner-city kids. “These kids just have less opportunities to develop [job] skills just by growing up in the neighborhoods they do,” said Alicia Modestino, the Federal Reserve Bank of Boston researcher who studied the program. “Fewer people in their lives have a job. They’re living in a neighborhood with fewer job opportunities.” Further, single parents in low-income households often work nights or have multiple jobs and are too pressed for time to help their children develop these skills. The jobs in Boston’s program are primarily either with private-sector employers – some of the top-tier internships are with major corporations – or with non-profit organizations such as local YMCAs, Sociedad Latina, the Boys and Girls Clubs of Dorchester, and the New England Aquarium. A requirement of the summer program – one of the nation’s oldest – is that each high school student attends sessions in which they learn to write resumes, practice job interviews, and answer questions properly on online applications. Social isolation kills – literally. In this video, Professor James Lubben, founding director of Boston College’s Institute on Aging, discusses numerous research studies showing that people who lack a social network of friends or family are more likely to neglect good health practices and to experience psychological distress, cognitive impairment, the common cold, and even death – “it’s on a par with smoking,” he said. Seniors become particularly vulnerable to becoming isolated as they decline physically, but isolation then makes them more vulnerable to worsening health. Social health should “be as important as mental health and as physical health,” said Lubben, who also is a professor of social work here at Boston College. The economy keeps chugging along, unemployment has been bobbing at or below 5 percent all year, and wages have been creeping up. 85 percent of Americans said they had “financial anxiety,” particularly about how they would pay for an unexpected emergency or medical bill. 70 percent say it reduces their “happiness,” their mood, or their ability to pursue their dreams, passions, and interests. 67 percent say it impairs their health. 61 percent say it has a negative effect on their home life. 51 percent say it has a negative effect on their social life. 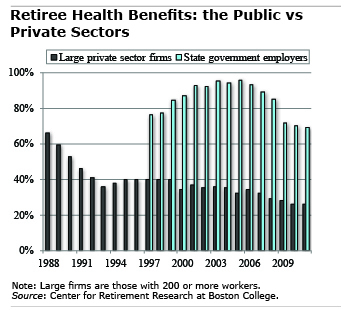 A small group of researchers at the Center for Retirement Research, which sponsors this blog, produces a large volume of analysis of the nation’s state and local government pension funds. Their work isn’t typical of the personal finance information that appears in this blog. But it turns a bright light on the financial condition of the pension funds that millions of state and local government workers and retirees rely on. The bottom line, according to these studies, is that while some funds are in poor condition, many more are managing. The big picture is updated in the new brief, “The Funding of State and Local Pensions: 2015-2020.” Eight years after the financial crisis, new data have confirmed that pension plan funding stabilized in 2015. And despite poor stock market performance last year, plan funding improved slightly in 2015 under traditional accounting methods. On the other hand, funding is slightly lower under new accounting rules that require the plans’ financial statements to value their investment portfolios at market values. The appendix in this brief provides funded levels for 160 individual plans in the Center’s public pension database. “Are Counties Major Players in Public Pension Plans?” The answer in this report is no, with the exceptions of California, Maryland and Virginia, where counties account for about 15 percent of pension assets. 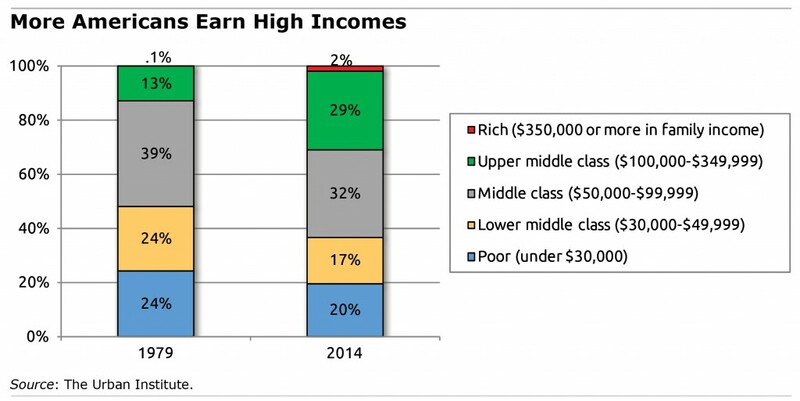 Yes, income inequality has risen dramatically over the past 35 years. But something else has happened that might surprise you. The size of the upper middle class is expanding, as Americans migrate up from the ranks of the middle class and poor, according to a new analysis from the Urban Institute.